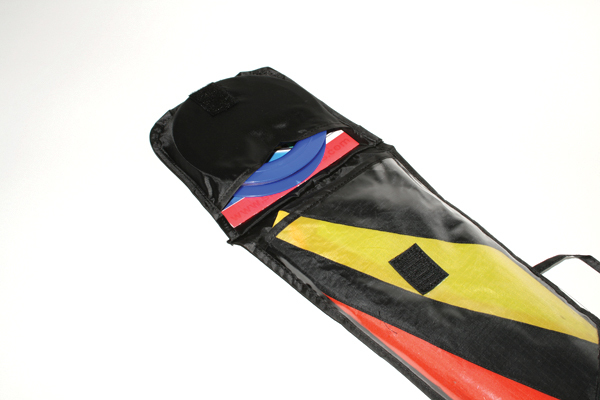 Each of our kites is packed in a reusable nylon carry case with flight line included in a fold-over pocket. 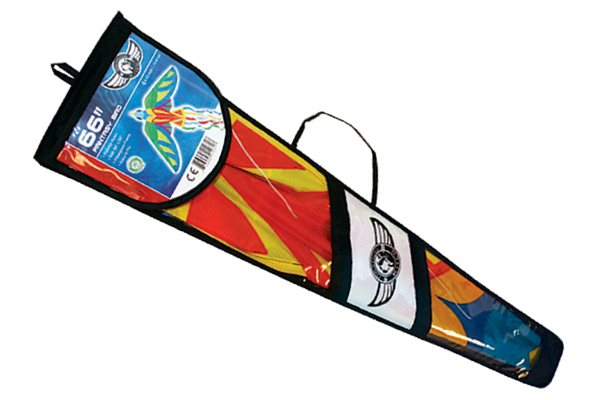 Skydog single line kites feature 300' of line on a flight ring. 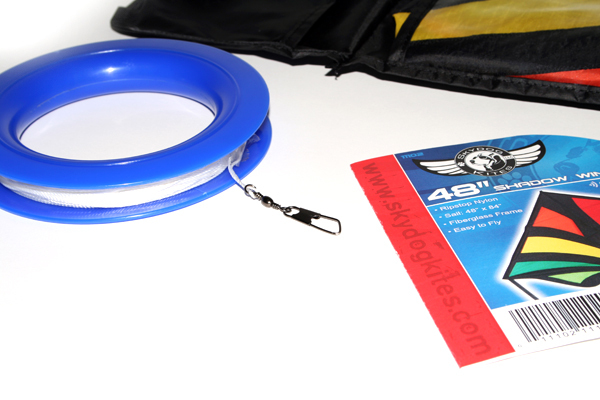 Swivel clips are secured to the end of the flight line to help make your flying experience easy and fun. 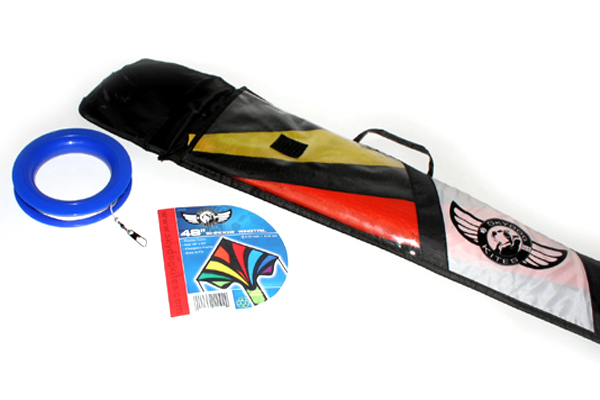 Flight rings allow for a quick launch of the kite as well as easy line retrieval when bringing the kite back to earth. 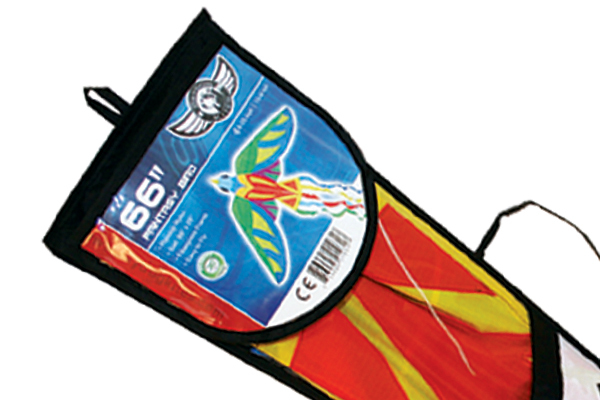 Product header cards include assembly instructions and fit snuggly into the flight line pocket to keep for future reference. 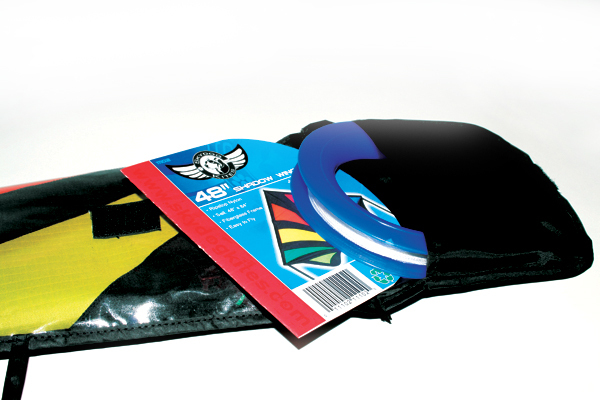 Skydog Kites is proud to have achieved zero waste packaging with our products! When possible try to Reduce, Reuse & Recycle.